On June 4, the World Science Festival presented Gravitational Waves: A New Era of Astronomy Begins, moderated by Brian Greene. EARLIER THIS YEAR, when rumors swirled for months that a team of scientists had detected the first gravitational waves, Brian Greene was skeptical. “I expected it was just a false alarm or perhaps even a ploy for some press.” But as the weeks passed and the news seemed increasingly real, Greene’s excitement, and that of the physics community, began to take hold. Greene, a theoretical physicist at Columbia University and an award-winning author of several popular science books, and his team began producing a short video explainer to describe this potentially monumental discovery to the general public. "While we were filming, we were simultaneously watching the live stream of the press conference," Greene said. "We wanted to get the video out, but we also wanted to make sure that the result was solid." Greene's team need not have worried. Scientists with the Advanced Laser Interferometer Gravitational-Wave Observatory (LIGO) confirmed to the world that they had indeed detected miniscule ripples in the fabric of space-time generated by the chaotic merger of two massive black holes more than 1 billion years ago. On June 4, Greene will sit down with some of the LIGO team members and other scientists as a part of a discussion about gravitational waves at the World Science Festival (WSF) in New York City. Joining Greene: fellow physicists Barry Barish, Nergis Mavalvala, Frans Pretorius, David Shoemaker and Rainer Weiss. The Kavli Foundation spoke with Greene, who is also the co-founder and chairman of the WSF, about the immense scientific and technical achievement that the gravitational wave discovery represents, the profound significance of the gravitational wave “chirp”, and how it could have ramifications for many scientific disciplines, including his own field of string theory. The following is an edited transcript of the discussion. Greene was provided the opportunity to amend or edit his remarks. THE KAVLI FOUNDATION: How did you hear about the gravitational wave discovery, and what went through your head after receiving the news? BRIAN GREENE: I heard about it, as many of us did at first, as a rumor that was percolating through the scientific community that something finally may have been seen. My first reaction was that it would likely go away, that it was maybe a prank, a publicity ploy. Gravitational waves had kind of become the major discovery that was always just going to happen, just a few years away. The thought that it actually happened, that such a stupendously difficult experiment had actually succeeded, it almost seemed impossible. But then some team members who are friends of mine began to surreptitiously suggest that a big announcement was coming and a press conference was called. At that point, it started to become real and it began to crystallize what an enormous achievement this is. It was a hugely exciting moment. TKF: You’ve said this discovery will “go down in the history of science as a pivotal moment”. Can you elaborate? Does this revolutionize not only astrophysics, but other fields? GREENE: Some discoveries end a particular chapter of discovery. That's part of the nature of science. You work toward results and sometimes you complete an area of study. Then you move onto something else. But some discoveries are pivot points where you confirm a way of thinking about the universe, and in so doing, you reveal a whole new path of exploration. That's the case with gravitational waves: the discovery finally confirms that gravitational waves are real, and this opens a new way to probe the universe, where instead of using waves of light to examine the cosmos, we will use waves of gravity. This is a completely new kind of probe, which is enormously exciting. TKF: For the Festival, you will be moderating a stellar panel on gravitational waves. One of your panelists, Nergis Mavalvala, noted that another really remarkable thing about this discovery is that for the first time it allows astronomers to observe something — a binary black hole system — that could not have been observed with light. What other “invisible” objects in the cosmos can scientists expect to study now that they have this powerful new tool? GREENE: All sorts of things. We can begin to really study black hole dynamics. Until this discovery, no one was even sure that there were black hole binary systems. Here, we now have a black hole binary system as the very first signal gravitational wave signal our detectors have picked up. As we do the same for neutron stars, no doubt there will be insights and surprises that come out. But if we dream big, we can imagine that we might even pick up a signal from a cosmic string, which is the idea that there might be linear defects in space that undulate wildly and send off a very particular spectrum of gravitational radiation in the process. We may pick that up. I'd say that the biggest prize of all is to capture gravitational waves produced from the Big Bang itself. That would then give us insight into a realm that is permanently opaque to light. TKF: Another one of your panelists, Frans Pretorius, noted something that is often overlooked in the media coverage about this discovery. He said this result “does far more than confirm the existence of gravitational waves. This is also the first direct evidence that black holes exist." What are some of the implications of this discovery for black hole astrophysics? GREENE: There's a mountain of circumstantial evidence supporting the existence of black holes. Even in our own Milky Way galaxy, the motion of stars around the center of our galaxy, it's hard to imagine anything else that can be whipping those stars around in the manner observed if not a black hole. For a while now, it has gotten to a point where scientists would speak as if the existence of black holes was a done deal, but that was always a little quick. The evidence now has taken a major leap forward, because there are these beautiful computer simulations of the gravitational wave shapes that would be produced if two black holes were orbiting each other. To have that signal actually wash by the LIGO detectors in Louisiana and Washington, to have a wave state that so closely matches the result of the supercomputer calculation of Einstein's theory, that really cinches the case. Now you've got this direct agreement between the numerical simulations of orbiting massive black holes and the observations of gravitational waves. TKF: Are the gravitational waves from that black hole merger still passing by us, or have they gone past already? GREENE: They've already gone past, because the black hole merger was a long, slow process that mostly just emitted a very weak and relatively slow spectrum of gravitational waves. Only in the final fraction of a second, when the black holes undergo rapid spinning near the speed of light and then merge, is a final burst of gravitational waves emitted. It's a wonderful thought: this gravitational wave burst was emitted about 1.3 billion years ago. And it has been racing toward us at the speed of light, since long before we little humans even sprouted up on Earth's surface yet. Then we arose, and one particularly insightful member of the species — Albert Einstein — started to think about gravity, realized that gravitational waves might be possible, and decades later we build a machine to detect them. Then, finally, just two days before the waves reaches Earth, we turn on the machine. Now, that’s poetry. "[S]ome discoveries are pivot points where you confirm a way of thinking about the universe, and in so doing, you reveal a whole new path of exploration. That's the case with gravitational waves." TKF: What do you think that says about the role of luck in scientific discoveries? GREENE: It says one of two things: Either we were incredibly lucky, or the occurrence of these kinds of black hole mergers may be commonplace. Maybe they just happen all the time and we just happened to catch a garden variety instance, because we just happened to have the machine on. We don't know the answer to that yet. TKF: It’s remarkable that one of the greatest discoveries in physics can be converted into a sound that we can hear. Did you ever imagine such a major discovery would be reduced down to an innocuous “chirp”. GREENE: That chirp, however modest it may sound, is really the harbinger of a completely new kind of astronomy. It's describing vibrations in the fabric of space. Buried within that silly sounding chirp are some of the deepest ideas that our species has ever encountered. TKF: Could future gravitational wave discoveries provide evidence for the existence of multiple universes or for string theory, which is the field that you work in? GREENE: The multiverse is such an outlandish idea that to claim evidence for it will take some extraordinary data. I always get a little -- how should I say it? -- queasy when people talk as if evidence supporting the multiverse is right around the corner. Most of the gravitational waves that will be detected will have conventional explanations. The ones that stand outside the conventional explanations are the ones that are going to be the most exciting, but they're also going to be the ones that are going to take years of study and careful analysis before we come up with explanations that require that we turn to something as exotic as a multiverse. Similarly for string theory, when we talk about the gravitational wave signature from strings in space, those strings could be the strings of string theory. But that’s a long shot, of course. It is surely possible that the little strings of string theory that we usually talk about as making up electrons, and quarks, and other particles, could, according to theory, get stretched by cosmic expansion. The expanded strings could get stuck around certain features in space and become further stretched as space itself stretches and these cosmic-sized strings could undulate, producing gravitational waves. But again, it will take a lot of additional thought, experiment, and calculation before one argues for a conclusion of that sort. TKF: Another panelist, Rei Weiss, was the one to suggest using lasers to turn light into a ruler for measuring gravitational waves, and many scoffed at this. Can you help give us a sense of why this was such a wild idea at the time? GREENE: The notion of measuring displacements that are smaller than a tiny fraction of a proton, of an atomic nucleus, it just sounds impossible. Think about it, someone walks in a room nearby, they drop a coffee cup, they rev a motorcycle engine, any of these influences will shake anything by much more than an atomic diameter. The whole program was ambitious to the point that some would say foolhardy. But they proved all the naysayers wrong. They were able to isolate the device. They were able to leverage the interference patterns of lasers to actually see such tiny displacements. That's the wonder of it all. This is an achievement in science and technology, not just pure science. TKF: It’s ironic that the first gravitational wave that humanity has ever detected was produced by black holes, something that Einstein himself was skeptical about. How do you think he would have reacted to this turn of events if he were alive? GREENE: He was a scientist like all of us, and he was driven by data. He resisted the Big Bang, until the data showed that the universe is expanding. He also resisted black holes. I fully believe that he would look at this data and say, "Wow, my equations actually tell us even more about the universe than I initially gave them credit for." He would probably slap himself in the head and say, "Why didn't I trust my own math — all of my math — from the get‑go?" TKF: Are there any predictions of Einstein's left to test? GREENE: Most of the tests of Einstein's theory have been done in situations with relatively weak gravity, and black holes are a domain where you can begin to test how gravity behaves when it's stronger. Einstein's ideas are still meant to hold. As more gravitational waves are detected, we will gain a greater insight into even more refined predictions of Einstein's theory when it comes to strong gravitational regimes like black holes. Einstein's ideas are, most of us believe, not the end of the story when it comes to gravity. When you look at string theory, string theory is compatible with Einstein's equations, but string theory adds additional terms. Now, will we ever be able to test those additional terms and see if they are correct? Or, even more generally, will we ever be able to have data that is so precise that it differs in a solid but systematic way from Einstein's theory, allowing us to use experiment to predict the next terms that Einstein left out? That's the big goal. Whether gravitational waves will get to the point that we can do that, I don't know. But, if you ask me, “What's the next big revolution in our fundamental understanding of gravity?”, it would be that. "The whole program was really ambitious to the point that some would say foolhardy. But they proved all the naysayers wrong." 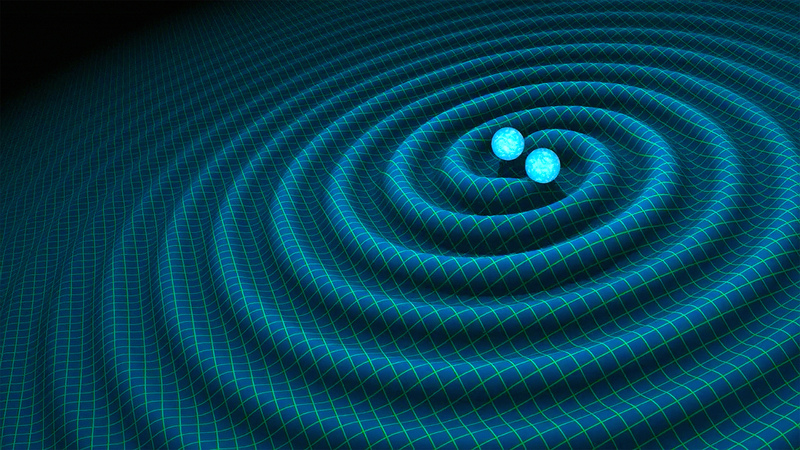 TKF: The experiment that detected the gravitational wave, Advanced LIGO, is a great example of a big scientific bet that paid off spectacularly. How do scientists decide whether or not a crazy-sounding idea is worth spending billions of dollars or betting their careers on? GREENE: It's a very hard question. I would say that there's no universal systematic answer. Every scientist comes to a scientific project and ultimately, it's their experience, their intuition, their guess as to whether they think this is going to pay off and whether the risk is one that they're willing to take. It really is a personality thing. There are some scientists who want to work on a project that they can conclude in a few months and it will be an incremental step forward but maybe not something that will shake the world. This gravitational wave experiment was not an obvious one by any means, and my hat is off to all of them for having the fortitude and the vision to make this happen. TKF: The World Science Festival is a phenomenal event – one that seems born not only from your own passion for science, but a desire to share that passion. What is it that you personally most enjoy about the Festival, and where do you want to go in the coming years? GREENE: Personally, I enjoy being part of programs that take particularly unusual approaches to providing an audience with an experience of science. These are the more theatrical, the more musical works that the Festival undertakes. At this year’s World Science Festival, we are presenting what might be called a “theatrical lecture” with the dramatic story of general relativity’s discovery at its core. It's a 90‑minute work called "Light Falls," and the subtitle is "Space, Time, and an Obsession of Einstein". It traces Einstein's lonely, anxiety‑provoking, ultimately successful journey to refashion our understanding of gravity, which of course, underlies all of the work in gravitational waves. That is a story that's both exciting and triumphant and tragic. It's a wonderful example of where the human and the science organically intertwine to create a very moving experience. There is nothing like talking to a kid, or a parent, or an adult who has attended one of these programs and having them say how emotionally moved they were at the science. Because to me, if you can touch people, not just intrigue their brain or tickle their intellect, but if you actually touch them emotionally, then the relationship to science radically changes. The Kavli Prize recognizes scientists for their seminal advances in three research areas: astrophysics, nanoscience, and neuroscience. The Kavli Prize consists of USD $1,000,000 in each of the scientific fields. In addition to the prize money, the laureates receive a scroll and a gold medal. Want to learn more About The Prize?